This is a scene I had planned since pretty much the very first conceptualization of the Birth of Blacklight arc. I’ve mentioned before that part of the idea with this arc was to fill in the empty space between when Shadow was launched from the arc and when he was found on Prison Island. This scene was supposed to be a big part of that. In the story I’ve directly told, there was no clear explanation of how Shadow’s pod ended up in the hands of GUN, only an inference made in Alfred’s final note to Shadow. Writing that note was actually a little awkward, because I originally planned it to be built off of this scene. The reason I didn’t end up placing this scene in the original story is because, as I was getting up to the point where it would have been in the story, I decided that I needed to have a moment where Alfred realizes his mistakes before the alleged final battle, so that he could be there to help before real final battle started. So, I wrote the second major scene of that episode, where Alfred tries to tackle Shadow before being told that Blacklight holds Maria captive. theoretically, this deleted scene would have come chronologically right after that. But, if you pay close attention, you’ll notice that this scene has a lot of similar themes and ideas as that one, so it would have been almost like showing the same scene twice in a row, distracting from the battle at hand. So, I deleted it. But, after it was all said and done, I realized, as I wrote in the episode review, that the overarching theme of humanity betraying Shadow got a little bit lost. This scene was supposed to be the beginning of a resolution to that theme, but I deleted it! So, I decided to write the scene anyways, and post it here as bonus content for you. Enjoy! The soon-to-be Commander, now Lieutenant, doesn’t seem to hear or care about what Shadow says. “When I heard the call, I knew it had to be you! I knew you would have to turn up eventually!” Shadow tries to take a slow step towards him, but he jabs the rifle forwards to keep him back. An odd rattling sound can be heard. “You’re Project: Shadow. You’re the one who killed everyone on the ARK! You’re the one who killed Maria! But I survived! And I’ve been preparing for this moment for ten years!” The rattling grows louder. Shadow stares at the rifle emitting the sound, held in the Lieutenant’s trembling hands. Shadow shakes his head. “I don’t have time for this.” He starts rapidly marching towards the soldier. Shadow doesn’t relent. “One day, a long time from now, you will get the guts to pull that trigger. But not today.” Shadow grabs the muzzle of the gun, rips it from the soldier’s hands, and flings it aside. The Lieutenant starts to step back in fear, now trembling all over. Shadow keeps pace with him. “Blacklight was right. Humans have a hard time dealing with things they don’t understand in any way other than violence. They have a hard time learning. But you will learn. And so will they, no matter how long it takes.” He stops walking. “Don’t worry. You will see me again.” He turns and starts to walk away, as the Lieutenant drops to his hands and knees. Shadow stops one last time. “I didn’t kill Maria. I couldn’t save her, maybe that was my fault. But I didn’t kill her.” He thinks for another moment. “You’ll find me unconscious in a stasis pod, in the basement of a research facility not far from here. It’s password protected, so you won’t be able to open it. Make sure you’re the one who finds it, or you won’t be let in on the secret, no matter how high in the ranks you go.” With that business settled, Shadow continues with his exit, off towards the place where Blacklight waits with Maria, prepared for their final confrontation. I hope what I said up there makes a little more sense now. The same essential idea of Shadow confronting someone who doesn’t like him, but leaving for lack of time, trying to convince them of their error as he goes exists in both scene. The other scene was more important for immediate plot resolution, but this one was important for resolution of the overarching themes of the story. It’s this encounter that puts the idea in Shadow’s head that humans, even if slow to learn, can learn, which is what convinces him in the end that Blacklight is wrong. In other news, I would like to apologize for the lack of activity recently. I simply haven’t had as much time to type as I would have wanted, and the Dawn of Chaos arc is giving me a lot of trouble on top of that. Over the next few weeks, look out for a new page on the site, as well as the review for the first epsiode of Dawn of Chaos, the anniversary special. (Wow, it’s been over a month since I published that.) Hopefully, it shouldn’t be long after that that the next episode is published. -Until then, remember to live and learn every day! 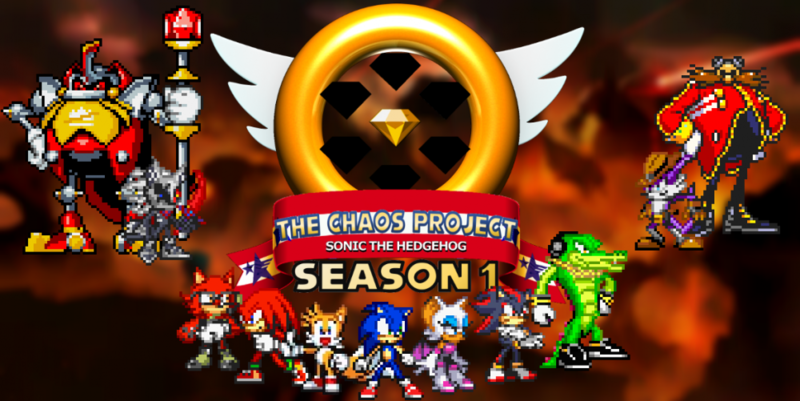 This entry was posted in Bonus Content and tagged Birth of Blacklight Arc, Blacklight the Hedgehog, Dawn of Chaos Arc, G.U.N., G.U.N. High Commander, Lieutenant Alfred Robotnik, Lt. Alfred Robotnik, Maria Robotnik, Prison Island, Research Facility EDEN, Shadow the Hedgehog, Shadow the Hedgehog (2005), Sonic Adventure 2, Space Colony ARK by Chaos Project. Bookmark the permalink.